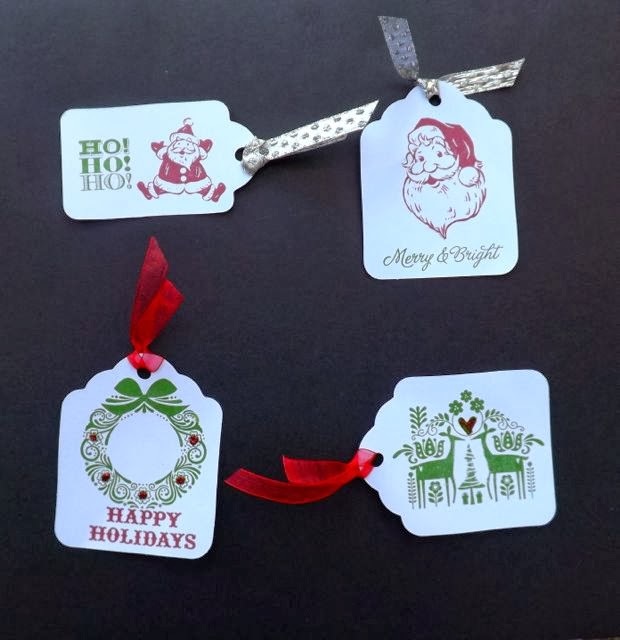 Little Red Wagon had a challenge this week to make Christmas Tags. 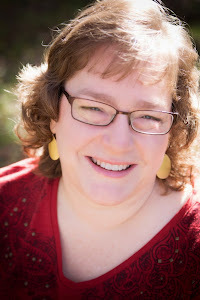 I am not a big tag maker, however they are much more personal than the one from the store and cuter too! 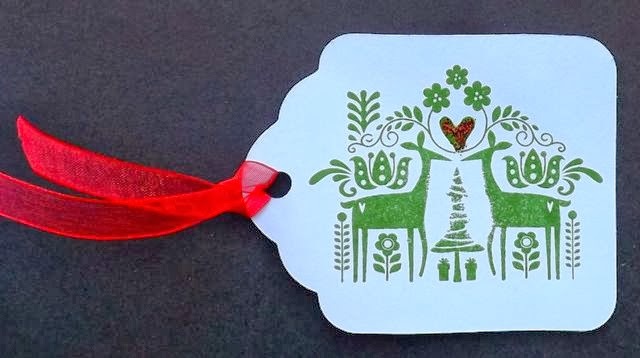 So I pulled out my Christmas stamps and cut a page full of Tags using the Art Philosophy Cricut Cartridge. I was thinking quick and easy but fun! 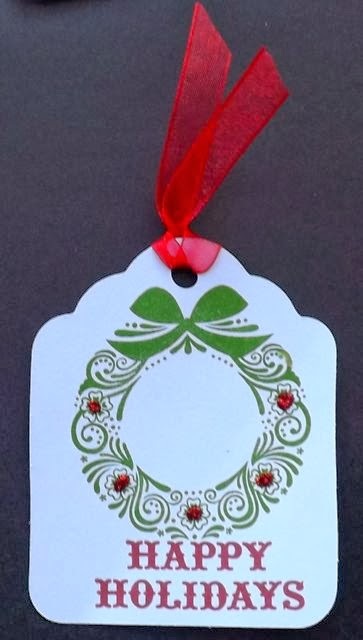 Above, I used the Santa Claus stamp and Ruby and Topiary inks and ribbon from my unknown stash as is the case with all the ribbon! Using up stash that is what it is about! The wreath came from the Merry and Bright stamp set and the sentiment from Scandinavian Wishes, last month's Stamp of the Month. 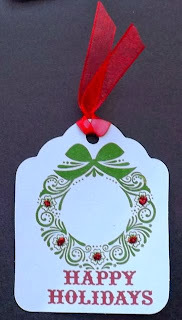 I also used Ruby and Topiary inks and Red Glitz Glitter Gel. This one is from Scandinavian Wishes, last month's Stamp of the Month, and I added a little Red Glitz Glitter Gel to the heart. 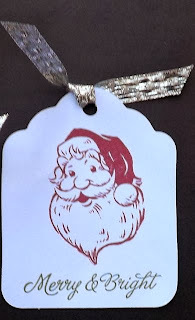 Again this Santa is from the Santa Claus set and the sentiment is from the Merry and Bright set. Love how cute this is with out adding any bling! I thought about making a class for tags like this, would you be interested, maybe combined with a gift bag and a couple other Christmas gift things? These are really pretty! Thanks for joining us at Little Red Wagon!